This is amazing! I recall seeing Sarah Richardson something similar at a cottage years ago and it's been on my list. But THIS?? Yes,this is IT! 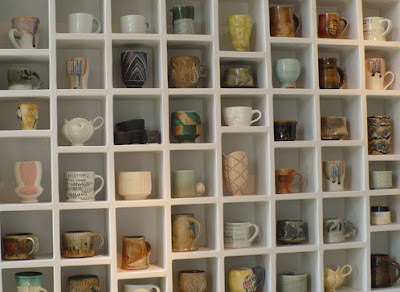 haha I AM a mug junkie. With no shame! LOVE THIS SO MUCH!!! I COLLECT POTTERY MUGS FROM WHEREVER I VACATION.. I LOVE TO SIT, DRINK MY COFFEE OR TEA AND THINK OF MY TIME THERE!! THANKS SO MUCH FOR THIS!! !